We want to alert you of what to look for when buying or selling tenant occupied real estate. If you are selling real estate and your property is currently occupied by a tenant, you need to find a buyer that is happy with a tenant occupied property and a buyer that is willing to buy that property subject to the tenant’s rights. 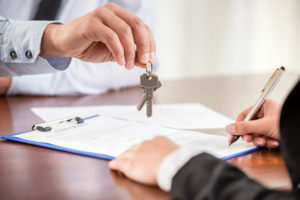 The buyer inherits all of the seller’s obligations and duties under the terms of any lease agreement in place at the time of the sale whether the buyer likes the terms or not. For instance, let’s say the seller entered into a lease agreement with its tenant in January for twelve months. The seller then decides to sell the property in February. The buyer purchases the property in March. The buyer is obligated to honor the terms of the lease through the end of the year. Of course, the buyer can always attempt to re-negotiate the terms of the lease agreement with the tenant after he purchases the property. The buyer can also get into some kind of agreement with the tenant prior to buying the property, whereby the tenant will either agree to leave the property after the sale or agree to pay more money. But absent such an arrangement, the buyer has to be agreeable with taking the property subject to the tenant’s rights. In connection with that, there is a very important document that is often missed. It is called a Tenant Estoppel Letter. That is just a fancy way of saying that it is a formal document that basically lays out what the tenant pays, what the landlord is holding in a security deposit, whether or not there are any claims pending against the landlord or any other issues that the buyer wants to be aware of, and it also notifies the tenant that once that transaction closes, the old owner is no longer their landlord and that they have a new landlord. As a buyer of tenant occupied real estate you also want to make sure that you inherit and receive all of the security deposits. Moreover, you also want to make sure that the tenant has adequate insurance in place to protect the landlord in the event of an incident of some kind. These are just part of the things that you need to make sure when you are buying or selling tenant occupied real estate in order to ensure that you have a smooth real transaction and that you know what you are getting into. So if you have any questions regarding tenant occupied real estate or any other real estate issues, feel free to give us a call, we are here to help. ABOUT THE AUTHOR. Hugo V. Alvarez is a shareholder at the law firm of Becker & Poliakoff. He is the 2017 Dade County Bar Association’s Legal Luminary Award winner. He was also named to the Best Lawyers in America in Real Estate related litigation. After a three year run through the Capitol halls in our state’s capital, Florida estoppel reform is finally a reality. The estoppel certificate is a letter required in just about every real estate transaction involving a condominium or homeowner’s association. The certificate is intended to provide pertinent information to the buyer. The buyer will need that estoppel certificate to confirm the current status of the pending assessments and violations with the property the buyer is purchasing. The issuance of the estoppel certificate is also a common condition in the Florida Realtors/Florida Bar Contract. Most title companies will also request an estoppel certificate to ensure that the buyer is aware of any pending financial concerns with the property. There were two issues that created the need to institute estoppel reform. First, the lack of uniformity as it relates to the charges associated with the issuance of estoppel certificates. Some homeowner’s associations charged exorbitant amounts of money to generate additional fees. The second was the lack of uniformity as it relates to the content contained within the estoppel certificate itself. So some associations were not only charging excessive fees they were also failing to provide the necessary information required by the estoppel. 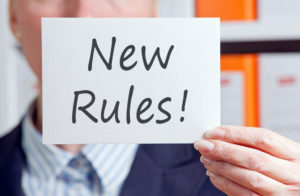 The HOA/COA estoppel certificate reform, signed into law by Governor Scott, brings uniformity and clarity to those two issues. The law now provides for a cap in the fees an association may charge for the estoppel certificate. The fee cap is $250 for owners who are current on their assessments. An expedited fee of up to $100 can be charged if the estoppel request asks for delivery within three (3) days. An additional charge of up to $150 can be charged if the owner/seller is delinquent on the assessments. The law not only provides for uniformity as it relates to the charges associated with the issuance of an estoppel, but it also provides for a standardized form related to the issuance of the estoppels. Thanks to the hard work by our Florida legislators, the days of diverging information as it relates to the issuance of estoppels are over. This reform package is a win for Floridians and closing agents. It brings about much needed clarity to the issuance of estoppels. Know Your Rights – What Do You Do If the Property You Are Renting Is In Foreclosure? If you are living in a property that is currently going through foreclosure you should know that you have rights that your landlord must acknowledge. In 2009 the Protecting Tenants in Foreclosure Act was signed into law by President Obama. The law gives tenants much needed protection against the foreclosure of property owned by their landlords. If you reside in a foreclosed property you are as much a party to that lawsuit as the owner. This means that you should respond to any foreclosure documents that may be served on you, and you should discuss with your landlord what they intend to do, if anything, about the foreclosure. If you are served with a Notice of Foreclosure you should file a written Answer to the Court explaining: (1) You live in the property and are paying rent; (2) If you have a lease state when the lease expires; and (3) attached a copy of your lease to the Answer. You must continue to pay rent to your landlord throughout the entire foreclosure process or risk an eviction. If you file an Answer you will be notified of hearings as the case progresses. If your landlord is unable or unwilling to stop the foreclosure (i.e. by paying its mortgage), a foreclosure sale will occur; the buyer of the property will become the new owner and your new landlord. Now, if this happens you still have rights as a tenant. The new owner must honor your lease until it expires unless you have what is called an “at will” tenancy (your lease contains language that permits the landlord to end your lease at any time) or if you have no lease, or if the new owner intends to move into the property. If any of these conditions apply the new owner must give you 90 days notice, and within those 90 days you must find new housing as your lease will end. Otherwise, if you have a written lease, are not an “at will” tenant, and the new owner does not intend to inhabit the property, the new owner must honor your existing lease for the time remaining on it., After the judicial sale you are no longer required to make payments to your old landlord, the new owner should receive those payments. However, this is very important, make sure you obtain proof of ownership before you pay them any money. Make sure to get any agreements with the new landlord in writing. Section 8 housing landlords are bound by the same restrictions. If the new owner fails to give you at least 90 days notice to terminate your lease you should send the owner a letter objecting to the termination before the date indicated on the notice, send it to the address the owner puts on the notice, and send it by certified mail, return receipt requested. If the owner ignores your letter and files an eviction complaint against you, you should file an Answer with the court stating: (1) the termination notice sent by the owner was improper because you were given less than 90 days notice; or (2) that the owner could not evict you until the lease expired under the Protecting Tenants at Foreclosure Act. Keep copies of everything you send to the new owner or submit to the court. If you are required to go to court bring all copies of papers you submitted to the court and to the landlord.